A big thank you and well done to Jamie Newstead from Columbus School who ran the London Marathon to raise funds for Barrow Farm. Thank you to everyone who sponsored her, the final total was just over £1500. 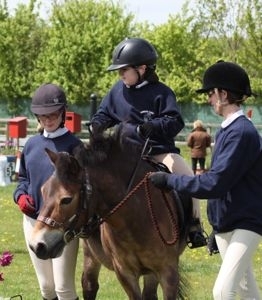 The money raised on sponsored events like this is critical to pay for the day to day running of the centre to enable us to provide the opportunity for so many disabled children and adults to ride. If anyone else is interested in doing a sponsored event for us – a run, a walk, a skydive… – please get in touch.